Generally, the California probate court laws will admit a will that has been admitted in another state. The California probate court laws will also not permit a contest or a revocation of the probate. There are certain exceptions to this general rule, however. 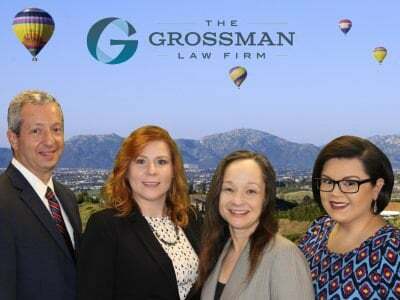 The decision to admit the will in a different state was not based on a finding that, at the time the decedent passed away, he or she was not living in that state. One or more of the interested parties to the probate proceeding were not given proper notice and an opportunity to contest the proceedings in that state. The determination as to the validity of the will in the other state was not final. Without any of the above exceptions, the probate court in California will likely admit the will during the ancillary probate proceedings. Once admitted to probate, it will have the same force and effect as the will of a person who had passed away while living within the state. Similarly, you will have to follow many of the same proceedings that are required under a typical probate administration. This includes the requirement to provide notice to interested parties. Recognizing the circumstances that give rise to a need for an ancillary probate is the first step during this process. 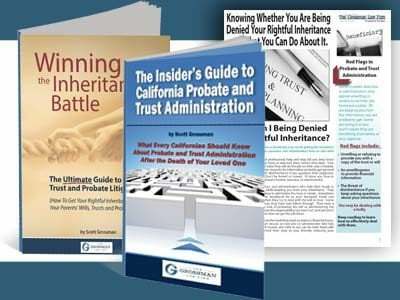 Our article, “When is Probate Needed in California?,” provides helpful information. To learn more about California Probate Court laws and how they apply to your case, contact an experienced San Diego probate court attorney for guidance. Feel free to call our toll-free number today at (888) 443-6590 for a free consultation. Or you may also contact us via our quick and easy online form. It would be our pleasure to further assist you. This type of probate must be done if a deceased person has property in more than one state. It must also be done if they die in one state and own property in another. For this situation the main probate is typically done in the state where the deceased person resided. The ancillary probate is then done in the state where the property was owned. 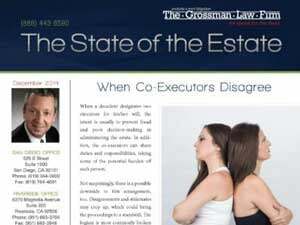 This requires that the estate pay for probate costs in each state.